Security companies taking advantage of the full range of features provided by our software solutions have an outstanding competitive advantage thanks to business efficiencies through time savings + costs optimization. In an industry where speed and accuracy of communications are essential, Sendem has played a key role in reducing alarm response times by electronically connecting alarm monitoring companies, security providers, and mobile workers. Sendem Software Solutions have really simplified the financial & operational management processes in our business, not only saving us time but also enabling us to understand how we’re performing at any moment. Its purpose is to provide fast and accurate communications between users while reducing control room and operation centres costs and other administrative overheads. An operator in an alarm monitoring control room dispatches a job to a patrol company which forwards the job to another patrol company which dispatches it to a patrolman’s mobile device. As the patrolman’s results are entered, they are available to all concerned within a few seconds. If the work is being performed on behalf of another company, they can also follow the progress of the job. Sophisticated dispatch, billing, and management system for service providers and patrol companies. Companies of all sizes can dispatch, receive and monitor jobs and all you need is a web browser. Our products are relied upon by some of the leading security companies and public organizations in Australia and New Zealand. Whatever the size of your business, we have software that will enhance the way you operate. I’ve been a SMART user both as a Manager in a large security company and now as a Director of an SME. I recommend that businesses of any size embrace technology, and there’s no software that understands this industry better than SMART. Using SMART has simplified our accounting processes enormously and saves us so much time which we used to spend calculating complex invoices and manually reconciling dockets. It’s now a breeze. 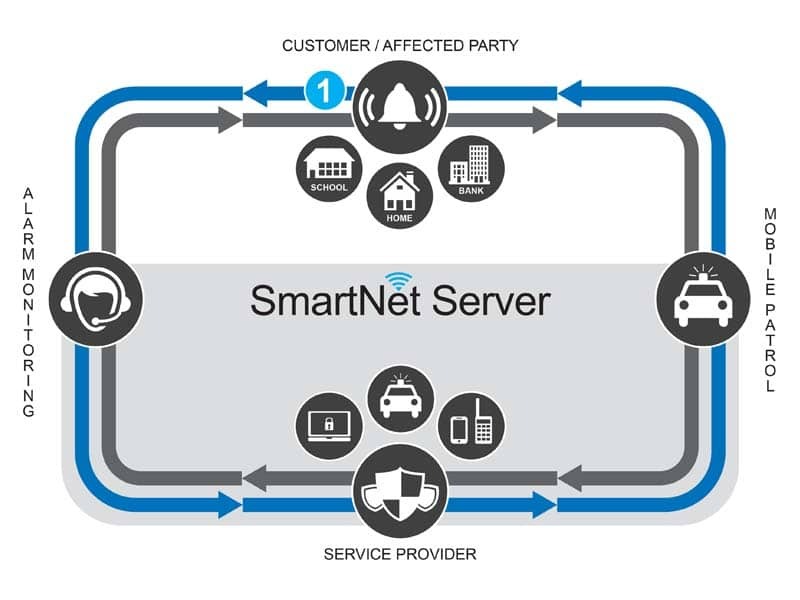 Dispatching jobs through SmartNet is easy and cost-efficient. It is extremely helpful in reducing the number of inbound and outbound calls in the control room. This is particularly useful during peak period such as storms, holiday periods, etc. Sendem Software Solutions have really simplified the financial and operational management processes in our business, not only saving us time but also enabling us to understand how we’re performing at any moment as we can track jobs and see what stage they’re at. This helps us to make sure we continue to give our clients the professional service and swift responses that they have become accustomed to. Sendem Software Solutions help us meet the rapid alarm response times expected by our clients.